iCandy Peach Launches in The U.S! Home » iCandy Peach Launches in The U.S! 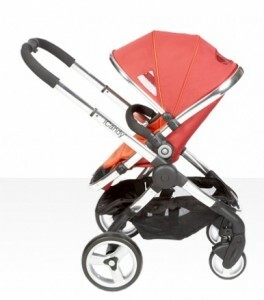 We are excited to announce that the long awaited iCandy Peach is finally available in the US! The UK-based company announced today that the Peach will hit retailers this month. 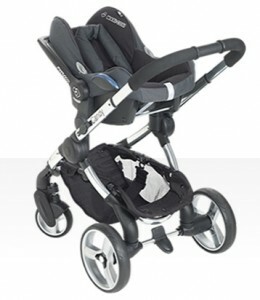 The Peach offers the unparalleled safety and baby-centric design of its sister lines, combined with a new ultra-sleek look and several product advancements, providing the ultimate stroller experience for both parent and baby. As with iCandy‘s 3 previous models the Cherry, Apple and Pear travel systems, the Peach incorporates a rear-facing seat option to promote parent-child interaction deemed by the UK’s National Literacy Trust a useful tool in the development of good speech. The reclining, three-position seat has a forward-facing option as well for toddlers more eager to experience the outside world. Additionally, Peach features iCandy’s signature flat-lying bassinet, which studies indicate can positively affect lung and spinal development. iCandy promotes the use of a flat-lying bassinet for the first six months of a child’s life for optimal health benefits. In addition to the health and wellness benefits, iCandy’s team of expert engineers factored in all of the luxuries and conveniences enjoyed by today’s parents when developing the Peach. 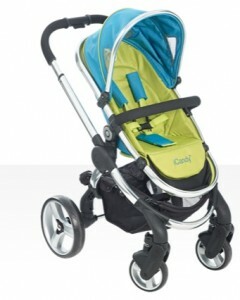 Look for the iCandy Peach to debut at several independent baby retailers across the U.S. in March 2011. For further details, including iCandy’s complete U.S. product line, accessories and retailers, please visit www.icandyworld.com.